Joe took office in Mid December with promises of taking the ICT sector in the country to higher heights. During his vetting, Joe was asked about the proposal to split Telco Safaricom into several units as was suggested by Airtel Kenya, CA and backed by former CS Fred Matiang’i. He opposed the proposed split but instead encouraged the sharing of spectrum and infrastructure besides seeking to create open platforms to promote competition and transparency in the ICT sector. 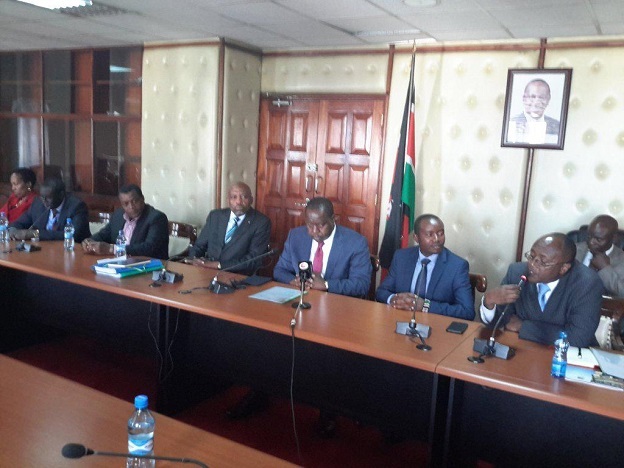 The CS further proposed the sale of assets of KBC in a bid to revive the struggling national broadcaster. Other issues tackled during the vetting included the proposed Konza Technology City as well as the Laptop Project. In a first, the CS has offloaded his investments in various Tech companies and startups aimed at avoiding conflict of interest. The CS has sold his stake in BitPesa as well as relinquished his position on the board of the startup. BitPesa and its payment gateway provider Lipisha Consortium recently sued Safaricom for what it termed as infringement of their rights to acquire and own property, fair administration as well as economic interests. Safaricom suspended Lipisha’s license stating it contravened its anti-money laundering rules. Mucheru is also selling his shares in Wananchi Online, which owns Zuku.